Click here to know more about the doctor. 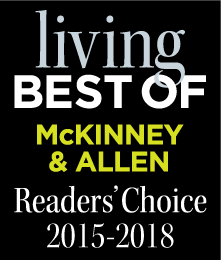 Voted Best Chiropractor in McKinney, TX, Allen, TX, Prosper,TX, Melissa,TX, & Celina,TX in 2015, 2016, 2017, & 2018. Dr. Matthew Scott has an established practice and is a top-rated chiropractor. 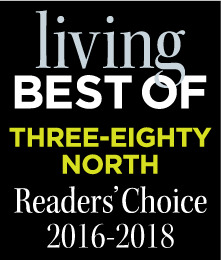 Dr. Scott has served patients throughout McKinney, Allen, Prosper, Frisco, Melissa area and the surrounding neighborhoods including: Stonebridge Ranch, Trinity Falls, Star Creek, and Twin Creek for over 8 years. At Scott Chiropractic and Wellness our mission is to be your one stop wellness solution. Dr. Scott believes that the body is healed from the inside out which is why adjustments are such an important aspect of the wellness model. Full body chiropractic adjustments help maintain a properly functioning nervous system which optimizes the body's immune response as well as optimal function. Dr. Scott treats professional and collegiate athletes seeking to maintain an edge in their performance goals. Dr. Scott works on patients of all ages. He is an active member of the International Chiropractic Pediatric Association and the Texas Chiropractic Association. We treat infants, toddlers, children, and adults. At Scott Chiropractic and Wellness, we will create an individualized program to maximize your potential and reach your wellness goal (i.e. meeting sports specific goals, pregnancy support, weight loss). Dr. Scott is a Certified Webster Practitioner. The Webster Technique Definition is: a specific analysis and adjustment to reduce the effects of sacral subluxation and/or SI joint dysfunction. In doing so, the neuro-biomechanical function in the pelvis is improved. Dr. Scott is endorsed by Chiropractic Hand and Foot Clinics of America to treat different conditions pertaining to the hands and feet such as but not limited to: carpal tunnel syndrome, hand pain and numbness, plantar fasciitis, bunions, foot pain and numbness, etc. This unique approach is a successful non-surgical treatment option with great results. Massage therapy plays an important role in maintaining the soft tissue aspect of the wellness model. We also provide prenatal massage to help deal with the changes women face while pregnant. Specific therapeutic modalities including: muscle stimulation, and therapeutic exercises will be used to aid in the rapid response to chiropractic care. Custom orthotics casting is also done in our office to aid in spinal pelvic stabilization and lower limb dysfunction. Dr. Scott also works with a variety of physicians in the metroplex to provide complete medical care if a referral is needed. Aetna, Baylor Scott & White, Blue Cross/Blue Shield, Anthem Blue Cross/Blue Shield, Cigna, UnitedHealth Care.